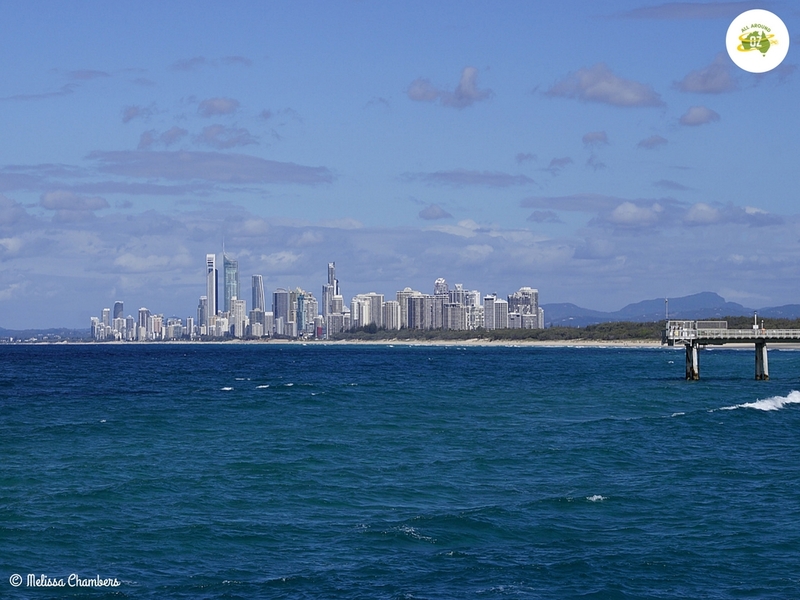 The area of the Gold Coast known as ‘The Spit’ is a narrow strip of land that extends from the northern end of Main Beach to the southern side of the Gold Coast Seaway, along Sea World Drive. For a relatively small area of land there is a lot to do along this lovely strip of the coast. It is definitely worth spending some time exploring The Spit. If you drive straight to the northern most tip of ‘The Spit’ you will find Doug Jennings Park. This large green space is the perfect spot for a picnic or somewhere to exercise your dog. Bordered by the southern seawall of the Gold Coast seaway this is also a popular area for fishing. From here you can also access the walkway that goes out along the break wall. This is the view you get from the tip of The Spit. On the southern side of the break wall you will find a lovely beach, which has the added bonus of being a dog friendly beach, where your dog can run off leash. It is also a popular area to Learn to Surf as it is quite sheltered. Running out into the centre of this is a massive sand pumping jetty which for a mere $2.20 (kids are free) you can walk out to the end of it and I can guarantee that the views from there are truly spectacular. 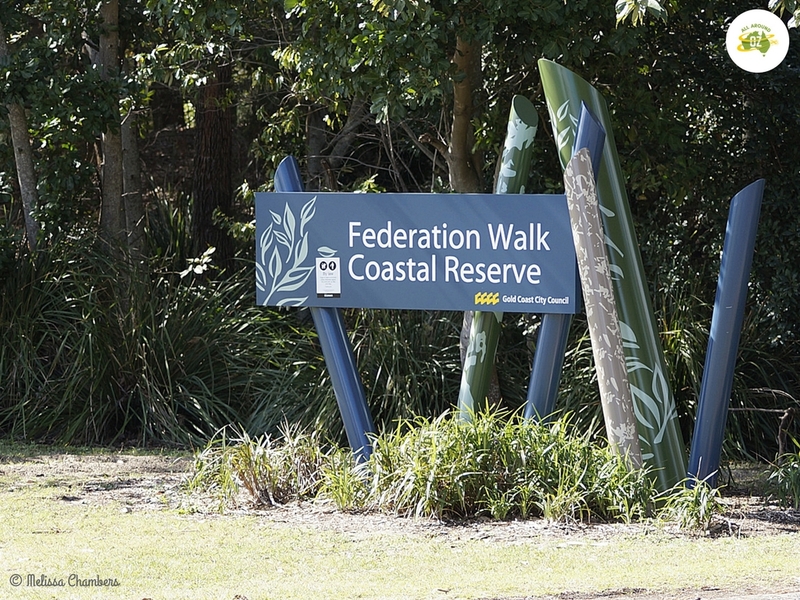 If you fancy a spot of exercise then why not follow the Federation Walking Trail back to Main Beach. This 3.1 kilometre walk winds it’s way through native coastal vegetation and all you can hear is the surf on one side of you and the birds. Very peaceful! Enjoy the peacefulness of the Federation Walk. Perhaps the best known resident of The Spit is Seaworld. This theme park is famous, for it’s polar bears, dolphins and other marine life as well as having some great thrill rides. It combines education with fun and is a really worthwhile day out for all the family. The Spit has a couple of accommodation options available, two of which are high end. Palazzo Versace and Sheraton Mirage Resort and Spa. A standard room at Palazzo Versace starts at around the $350 for a mid-week stay so it is affordable if you really wanted to treat yourself. The price of a room at the Sheraton Mirage is not much different but it has the added bonus of ocean views! A third accommodation option, which I think is perfect for families is Sea World Nara Resort. Located right next door to Sea World, you can actually walk straight from the resort into Sea World. With frequent specials that include unlimited Theme Park access it is worth a look. Around $179 a night, twin share, with extra adults or kids only $25.00. 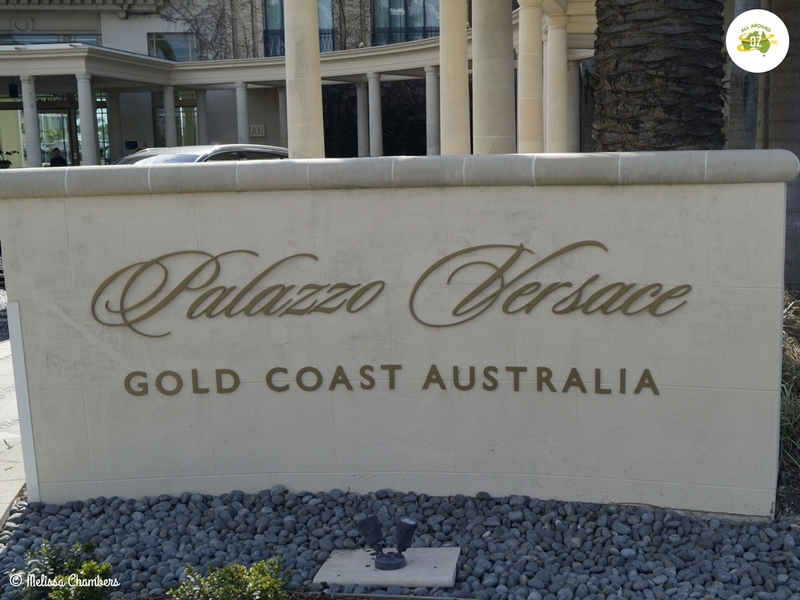 If you are after some truly up-market accommodation then Palazzo Versace might be for you. 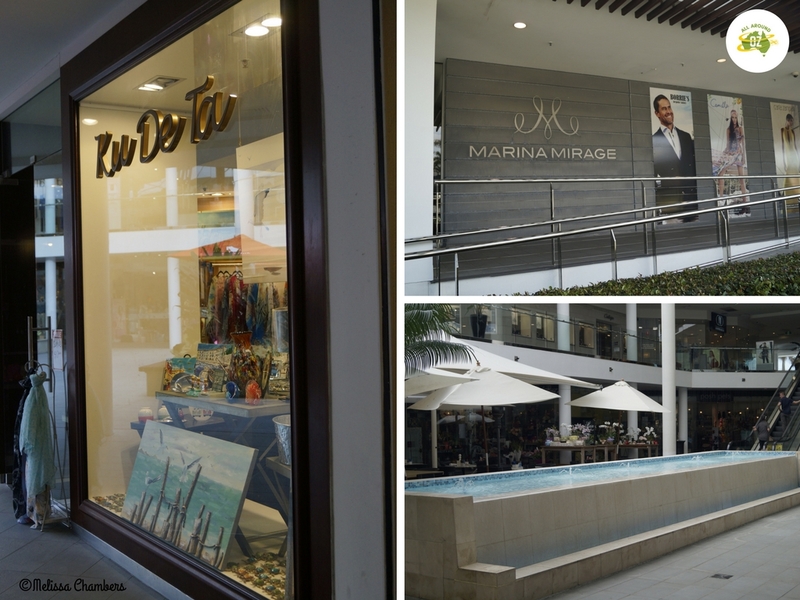 The up-market Marina Mirage is the shopping and dining destination for this area. There are several luxury shops where you can happily browse or spend including Seed, Lorna Jane, Gazman to name just a few. Restaurant wise I would recommend Omoros Brothers for seafood and Max Brenner if you need a chocolate fix. Marina Mirage is a lovely spot to while away a couple of hours shopping or having a coffee or lunch. Other food options located near Marina Mirage include the Fishermans Wharf Tavern where you can sit by the water and enjoy a meal or a beer. Fishermans Wharf are also well known for their entertainment on weekends. Hog’s Breath is another popular casual dining spot but if you just want some good old fish and chips then you can’t go past Peter’s Fish Market which is something of a Gold Coast icon. The fish is always fresh and cooked the way you like it. Fishermans Wharf Tavern is an awesome spot to enjoy a beer or some lunch. 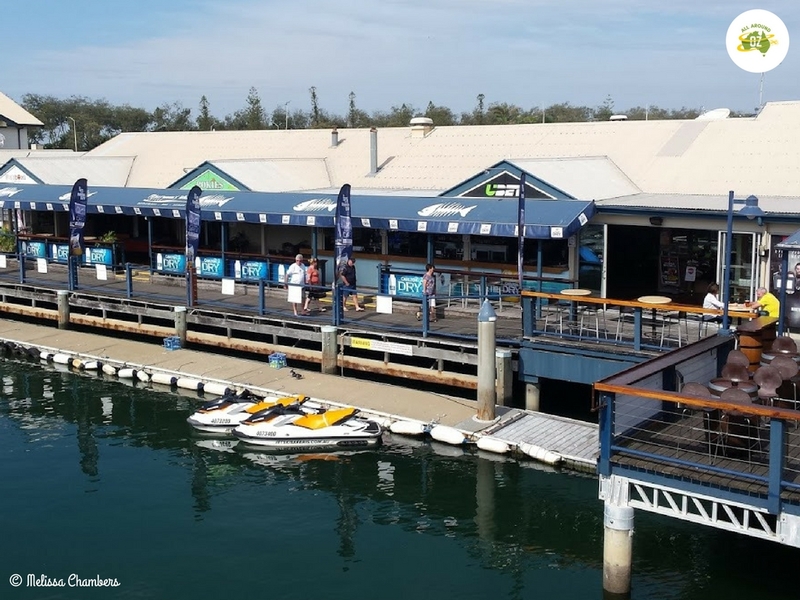 The Spit also boasts a large public boat ramp area where you can launch your boat from for a days fishing or for exploring the Broadwater and with Wavebreak Island just across the way there is plenty to see. Located right next door to Sea World Resort there is loads of parking for your car and trailer. I hope you enjoy the time you spend Exploring The Spit! I always think The Spit is as diverse as it comes. With great fishing, surfing, walking trails and sandy little beaches on the northern end. The thrill and fun of Sea World Theme Park. Then the luxurious and decadent Sheraton and Palazzo Versace resorts and the very upmarket Marina Mirage on the southern end. Such contrasts! The kids and are going to walk the Federation Trail during the hols. Such a lovely area. Looks so lovely; I’m overdue for a trip to Queensland with the family! Weather is perfect at this time of year…lovely warm days without the humidity!